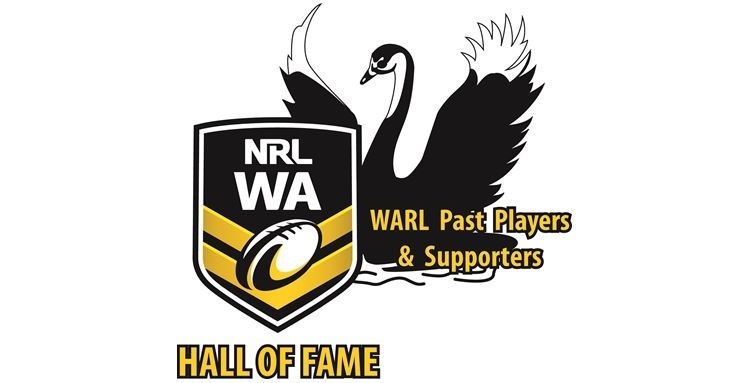 The WARL Past Players and Supporters Association is proud to sponsor the perpetual NRLWA Junior Club Person of the Year award. This award is presented to a junior club person who goes beyond just being a player, but represents the core values of being an exceptional club member with the clubs best interests at heart. This year we are thrilled to see Fremantle Junior JACKSON MERRY receive the award from WARL PPS President John Moore at the NRLWA Junior Presentation night. Jackson started playing for the Fremantle Roosters Rugby Club in the U6’s and currently is a member of the U16’s team. Often seen at the club on both Junior and Senior games, Jackson arrives early and stays late in order to assist the set up and pack up of the grounds equipment. On Senior days he often acts as a ball boy for the Senior games and had also acted as one of the Ball Boys for the NRL Double Header at Perth Stadium. Junior game days Jackson can be found helping out in the canteen, preparing food and working in customer relations. Jackson also acts as a mentor with some of our younger grades during both Junior and Senior game days. Sometimes referred to as a quiet achiever Jackson has never sought recognition for the help he provides to the Fremantle Rugby Club and is a deserved winner of the NRLWA Junior Club Person of the Year award.